"Since the President’s tweet Friday evening (April 12), I have experienced an increase in direct threats on my life – many directly referencing or replying to the President’s video. 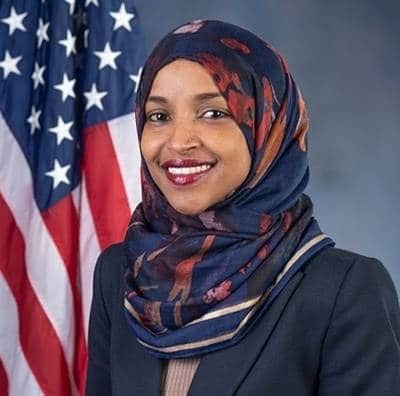 I thank the Capitol Police, the FBI, the House Sergeant at Arms, and the Speaker of the House for their attention to these threats," Omar, a Minnesota Democrat, said in a statement released on Sunday evening. In the April 12 tweet, Trump wrote: "We will never forget!" and included video of a speech Omar gave last month in which she said: "For far too long we have lived with the discomfort of being a second-class citizen and, frankly, I’m tired of it, and every single Muslim in this country should be tired of it. "Counties that hosted a 2016 Trump rally saw a 226 per cent increase in hate crimes in the months following the rally. And assaults increase when cities host Trump rallies. This is particularly concerning given the president’s visit to my home state of Minnesota on Monday."